Getting married this year, or know someone who is? Then this is the bridal package for you!! I'm offering 4 wonderful treatments to prepare you for the best day of your life. You'll leave feeling pampered, chilled and beautiful, all ready for your big day. All of this for the very special one off price of just £60!! This can also be purchased on a gift voucher for the lucky bride-to-be. All Mum's-to-be need some pampering before the little bundle arrives. So, treat them to my Mum-to-be package. File & Polish on hands AND feet OR Shellac on hands OR feet. Pick up a loyalty card at your next appointment. 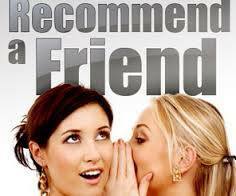 Spend £10 or more for a stamp, 10 stamps will get you £10 off any treatment. The perfect gift for someone, maybe your Mum's birthday, your best friend has just had a baby or you just need to say Thank You, then look no further. 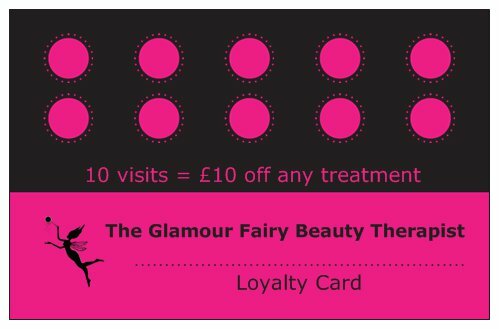 Get them a Glamour Fairy Gift Voucher which can be for a specific treatment or for any amount. You will not only be giving them some well deserved pampering, but you'll earn some serious brownie points!! Thanks for looking at my website and stay glamourous!